Planning a tea party menu for an afternoon tea (also called high tea or low tea) may seem daunting at first, but it's fairly simple. Depending on the occasion, your afternoon tea menu can be as sparse as tea and cream scones (a type of afternoon tea menu known as "cream tea") or elaborate enough that it includes multiple types of teas, scones, finger sandwiches and other treats. Either way, these tips for planning your tea party menu are sure to help you find the perfect combination of food and drink for your next afternoon tea. With so much of a focus on the foods in afternoon tea, it can be easy to overlook the tea. However, the tea or teas you serve are just as important as the foods, if not more so. I highly recommend selecting from this list of top teas for afternoon tea, as most of them pair very well with a range of foods found on afternoon tea menus. Try to select bold teas for rich or strongly flavored foods or more delicate teas for more subtle foods. Consider including at least one caffeine-free tisane ("herbal tea") or a decaf option, in case some guests are sensitive to caffeine. Scones are one of the most popular foods for tea party menus. They can be sweet or savory, and complex or plain. 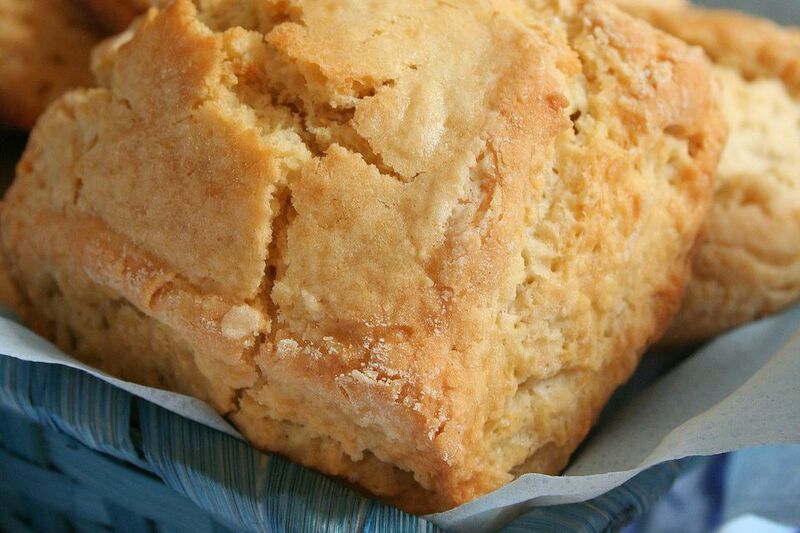 From basic buttermilk scones, savory cheddar mustard scones, sweet cinnamon scones; there are scone recipes for any style of tea party. If you're planning a tea party menu for girls, consider serving raspberry scones, which are naturally pink when you mash the raspberries a bit as you stir and knead the dough. Be sure to pair your scones with appropriate scones toppings or spreads, such as Devonshire cream, clotted cream or lemon curd. However, you can venture beyond these more traditional tea sandwiches with other tea sandwich recipes, like watercress tea sandwiches or buttered radish finger sandwiches. Just be sure to keep the intensity of the flavors in your finger sandwiches comparable to the level of flavor in your tea and sweets. Other sweets (besides sweet scones) are often served with full tea or light tea. Common types of sweets found on tea party menus include various types of sponge cakes, Madeleines, cupcakes (which are ideal for kids' tea parties) and trifles. Be careful not to have too much overlap in the types of sweets you serve. Ideally, your sweets menu will include a variety of flavors, such as seasonal fruit (or, in the cooler months, preserves), cream, vanilla or chocolate. In addition to finger sandwiches, some tea party menus include other savories, such as savory scones, soups, quiches or lighter savory snacks, like seasoned nuts or cheese and crackers. If you are throwing a themed tea party, careful selection of other savories can help add to your theme. For kids' tea party menus, consider serving iced tea, juice or punch. For adult tea parties, you might consider offering champagne or a tea cocktail. Think about color and texture when you plan your tea party menu. Carefully selected colors can relate to a tea party theme, the current season or other concepts, or they can simply be another way to make your tea party menu enjoyable for your guests. Similarly, a variety of textures adds to the enjoyment of the foods you serve. Seasonal ingredients can add flavor and color to your tea party menu. Consider using fresh fruit, herbs, and edible flowers to enliven your menu. One example of seasonal ingredients as a focus for an afternoon tea menu is strawberry tea, a type of afternoon tea menu that includes fresh strawberries. Consider testing each recipe at least once before your tea party. This way, you will know exactly what each food or drink tastes like beforehand and can tweak recipes or change your menu as needed. Be sure to have enough food for your entire party. Plan out how much each guest is likely to eat and then make slightly more. If you're on a budget, be sure to plan your menu carefully, opting for slightly less expensive options in your recipe selections. For example, raisin scones are far cheaper to make than cherry scones, and egg salad finger sandwiches far less expensive to serve than shrimp salad tea sandwiches. If you're short on time, consider buying some items instead of preparing them yourself, and opt for dishes that can be prepared in advance, such as finger sandwiches that won't get soggy or sweets that can be refrigerated until they are ready to be served. Which Sweets Will You Serve at 'Light Tea'? What's the Difference Between High Tea and Afternoon Tea? You Simply Must Try These Top 10 Foods Next Time You're in the U.K.